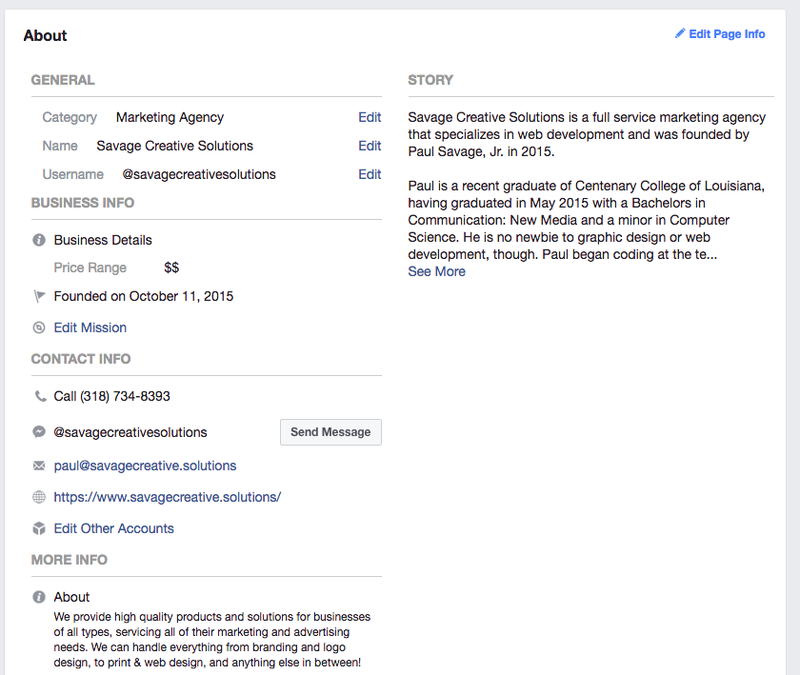 Your page’s profile picture is probably the most prominent image of your business or company on the platform! It appears on your page, when you like something as your page, as well as when you comment as your page. Not only should it be sized correctly but it should be your logo. This is one of the easiest, yet often most missed, ways to market your business. Your page is there to help you brand your business. You can’t do that without using your logo! Also, make sure your logo is cropped properly to fit inside a square, which is the shape Facebook uses for its default profile pictures. 2. Use an interesting cover photo. The cover photo photo of your page is 825x315 pixels of marketing area for your business and it should be thought of as such! The image should be clear and resonate with your audience. Showcase some of your products or display your latest products. Profile pictures no longer overlap this area so it could be a good to include your contact info. Don’t forget to design these for mobile as well! There are plenty of templates out there. Basically, the left and right parts of your photo will be cropped: so think and design for the center. 3. Create a call-to-action button. Facebook offers you a button that displays in prominent locations on desktop as well as mobile, along with multiple call-to-actions to choose from. This is an easy way to entice visitors to learn more by visiting your website, setup an appointment, or download your app. 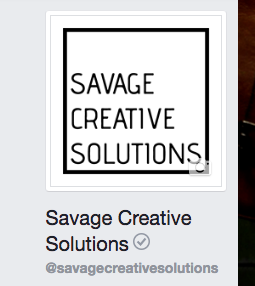 By design, Facebook displays your CTA prominently. Use it to your advantage. This is another free marketing area that is just wasted, should you choose not to use it. 4. Ensure your business is properly categorized. This is quite often one of the biggest mistakes new businesses make starting out. Not categorizing your business correctly can jeopardize visitors finding your business online. First, ensure you have the most accurate category for your business. Do a little research on competitors and see what categories they list themselves as. Second, be specific. If you are a pizza shop don’t use restaurant, use pizza place. You’re more likely to appear higher in results for niche searches rather than generalized ones. 5. Make sure your about section is complete, accurate, and up-to-date. An accurate about section is important for a variety of reasons. One, Google has begun pulling in social data for its search results. Google ranks sites with accurate contact information higher than those who don’t, meaning your contact information should be consistent across your social platforms and web site. Google actually penalizes inaccurate listings. Second, it’s another chance to better explain your services, why you do what you do, and offer others means for people to contact you. All of this turns into more leads and return on your social media investment. 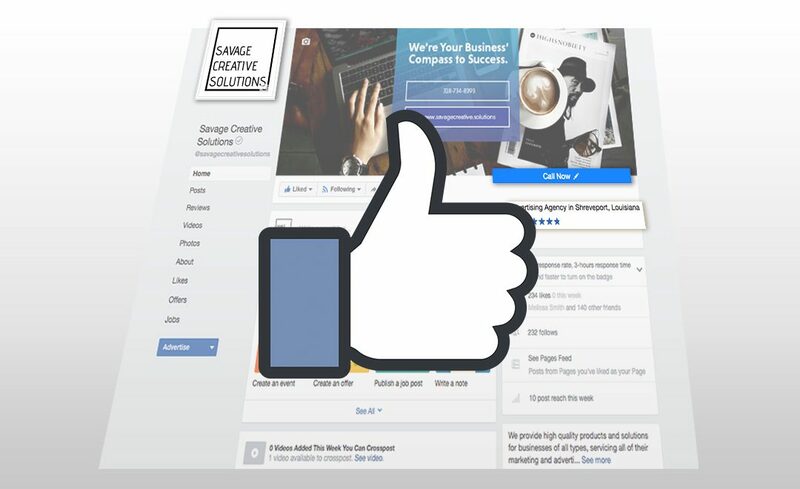 Savage Creative Solutions can help make the headache of managing your social media disappear and allow you to focus on what’s important, managing your business! Our team is dedicated to creating graphics that match your brand, content that amplifies your voice, and connections with client that can convert into sales. If you are interested in learning more about our services give us a call at (318) 734-8393 or simply send an email to paul@savagecreative.solutions.